A new ache becomes a nagging ache or a chronic pain and we worry that it will get in the way of our responsibilities, and our fun. We wonder what we're doing wrong and what we should change. Chances are we're probably not doing anything wrong. 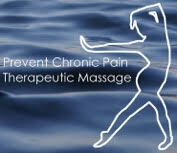 So let’s talk about reducing pain, improving mobility and preventing chronic pain.